Kefalonia Paliolinos: Paliolinos is a small rocky beach with striking features. 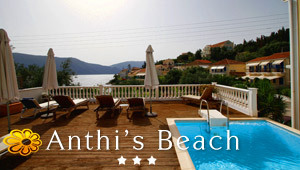 It is located 15 km south of Argostoli, the capital of Kefalonia. The most interesting feature of the area is the gigantic rocks diving in the sea. Such a place is waiting to be explored for its magical depth and the underwater landscape, always with the right equipment. Of course tourist facilities are not an option here due to the rocky landscape. The beach is surrounded by huge verdant cliffs. The azure waters offer an exotic atmosphere that matches ideally with the surrounding area. It is a nice attraction for the visitors and especially those who love diving.